Vispronet® offers you a wide range of display units with which you can conveniently present your product or brand anywhere. From display walls in numerous finishes, through to celling mounts, indoor walkways and sandwich boards. Display systems from Vispronet® are available in different designs and are adapted to suit every budget and every occasion. From very small to very big, for fairs and events, catering, VIP areas, in museums, private parties and club events. Advertising displays and display systems are exactly the right companions for your successful and professional company presentation. At trade fairs, events, larger and smaller promotions, as well as exhibitions and in foyers, these trade fair systems always ensure a first-class advertising presence and highest attention. Large-format pop-up display and display walls ensure a particularly impressive appearance of your promotional stand at the trade fair. These displays are available from Vispronet® with a straight or an elegantly curved front. Most folding displays are supplied with two halogen spots for correct illumination of individual advertising displays. With a sidewalk display and info boards from Vispronet® you will choose the classics of our advertising displays. Suitable for indoor and outdoor use and fast changing of advertising prints make these displays into a flexible and indispensable information carrier. With advertising, you present your company, new products and promotions in a very effective way. For example, Pop Out Banner can be used as decorative advertising at sport events in sports halls, closed arenas or stadiums. These lightweight advertising displays are very quickly assembled and dismantled and are stored after use in a space-saving manner in the included transport bag. Car dealerships or travel agencies prefer the use of Roll-Up, Easy Display or X-Display as a mobile advertising. Using these advertising displays you can elegantly and clearly present all important information. In the case of Roll Up advertising displays, the print surface is simply pulled out of the housing during assembly and attached to telescopic rods. Only a few advertising displays are ready for such a quick use. The Triple Display is a display with 3 advertising spaces in one system. No matter from which side your customers come, your advertisement is always clearly visible. Info boards are advertising displays which inform people in passing through or while waiting. One uses these practical advertising displays for customers or guests offering high-quality information material in unobtrusive way. These can be used in foyers, at exhibitions or simple waiting rooms. Vispronet® offers the information display in various sizes as well as with or without brochure shelves. Frame made of anodized silver-coloured hinged frame profiles guarantees fast and easy changing of prints. A stable base provides the necessary stability. At Vispronet® you can quickly and easily design online advertising displays for trade fairs without the need of having any graphic design experience. To accomplish this use our free design tool Visprodesign®. This tool will allow you to design in just a few simple steps your very own trade fair displays. Browse through thematically ordered, free design templates. Upload photos or your company logo to the template and combine them with text and clipart in the print area of your advertising display. Let your creativity run wild and liven up your advertising with self-designed displays. Whether display stand, display wall, customer stopper or a large Pop Up folding display, with our systems you can furnish professionally your trade fairs and events. In Visprodesign® you can insure that the resolution of your custom design is adjusted to the optimal requirements of the respective advertising display. For those in a hurry Vispronet® offers an overnight service. Simply deliver error free print data for your advertising displays to us until 9.00 am and you will receive your order the very next business day. Of course you can also order display systems, advertising displays, and trade fair stands as a standard or an express delivery. Should you require that your order be shipped to multiple delivery addresses, then use our multi-address service. Upon request, we deliver advertising displays overnight and express to various delivery addresses. Another benefit is the neutral shipping. Send your advertising displays in neutral packaging and with neutral shipping bill. Which display systems are available? For every advertising campaign there are the right display systems available - individually designable, easy to set up and disassemble. At Vispronet® you have the freedom to choose between simple display walls and curved Pop Up folding displays, creative pallet covers, Pop Out Bannern and Info Boards. You can use Easy Displays, XL-Roll Up displays, X-Displays or 3D Displays from our range for trade fairs, sport events or election campaigns. Also suitable for permanent exhibition are Light Boxes, barrier systems and sidewalk signs with robust aluminium frame. We are happy to assist you in choosing the right product for your needs. Vispronet® recommends digital printing as the most cost-effective alternative for small and medium volume display systems. 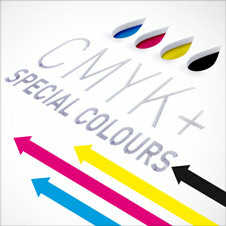 A high-quality digital printing always guarantees you an excellent result. With the optimal design you always put your display systems in the right light. For this purpose, please send us the correct print data by e-mail or conveniently via the upload function in the customer area. The relevant print data is then sent directly from the computer to production. This creates the perfect printing result in the textile sector with environmentally friendly, water-based dispersion inks, which guarantee the highest lightfastness. This way your self-designed display systems can show the printed advertising message for as long as possible. In the non-textile sector, such as acrylic or alu-dibond plates, we use UV-curable inks, which also have a very high lightfastness. We take the environmental concept into account with VOC-free products. In addition, our inks are certified according to the Nordic Ecolabel (Nordic Swan). A particularly high colour accuracy can be achieved in both areas with additional optional spot colors. The screen printing process is the less expensive choice for large-scale display systems. Of course you can expect a perfect print result. In screen printing, each color is mixed individually and applied with a magnetic squeegee through the printing screens on the material. We use environmentally friendly, water-based ink. In the textile sector, either photo or film printing is used. Please refer to the product descriptions in order to choose the optimal method for you. If you have any further questions, our telephone customer service is always available and will competently answer all your questions. Can all advertising displays be used indoors and outdoors? In design and equipment of our advertising displays, we have oriented ourselves at the most commonly used areas. Designed with your own images and motifs as well as your company logo your display will certainly be a success at trade fairs, sales or information stands. Also suitable for indoor use, are the Vispronet® customer stoppers, light frames, pop out banners and 3D displays. Stand out from the crowd and use these display systems for both advertising and decoration purposes. Thanks to protective impregnation or production made of sturdy PVC, many of our advertising displays are also suitable for outdoor use. For example, use individually printed personal guidance systems, pop-up banners and display walls as room dividers or to block individual areas during your event. Our display offer is also suitable as a media or a sponsor wall and is available in size of up to five meters in width. If you wish to attract casual customer attention, then we recommend the use of customer stoppers and pallet covers. Is the back of advertising display also printable? When designing your motifs for roll-up banner or personal guidance systems at Vispronet® you can choose double-sided printable products. In addition to the Easy Display and the Info Board, double-sided printing is also possible with the classic display wall. The advantage lies in a larger advertising surface, which is visible from all sides and brings your message even better to the targeted group. Is it possible to choose different motifs for front and back? Each double-sided advertising display from the Vispronet® online shop can be printed with different designs. For example, design a roll-up banner with a logo and image on one side and an overview of your achievements on the other. This way, you can use optimally the complete advertising display to address prospective customers. Can I change the advertising print? Our advertising displays are designed so that they are ready within a very short time and can be stowed quickly away again. Spontaneity in the choice of advertising media is likewise important to us. Therefore, the advertising print can be exchanged on almost all Vispronet® display systems. For Easy Display and Roll Up banner we use metal rails for clamping, while the X-Display printed tarpaulin is attached with eyelets to the frame. The light frames, customer stoppers and info boards can easily be opened and fitted with new advertising posters. For a Pop Up banner or personal guidance system a metal frame is provided which allows for advertising print to be simply stretched over. You benefit twice with these flexible and environmentally friendly advertising displays.